Access is made safer and easier, and environmental damange is limited, by installing bespoke waterside features. 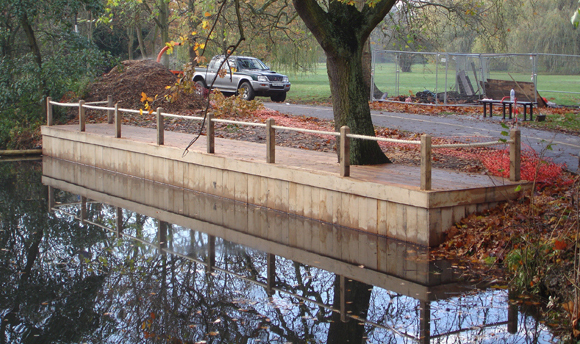 We can design and install all manner of purpose built structures, from beautiful Green Oak creations to highly functional fibreglass composites and modular floating pontoons. We have a passion for working with Green Oak and other quality timber, fabricating bespoke installations in our workshops prior to installation - or creating something special on site - for you to enjoy in your own surroundings.